No glass containers on the bike. We supply solo cups. Helmets are offered in accordance with Tennessee state and City laws, which is your choice to wear if you're over 16. Your driver is the captain so please listen to him/her. No leaving the party bike during the tour. Planned announcement stops only. 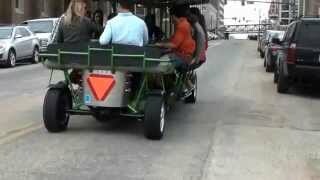 A trained River City Pedalers employee is the only individual who can drive the bike, please don't ask. We will quickly identify any excessive alcohol consumption, and that will result in automatic loss of tour with no refund. 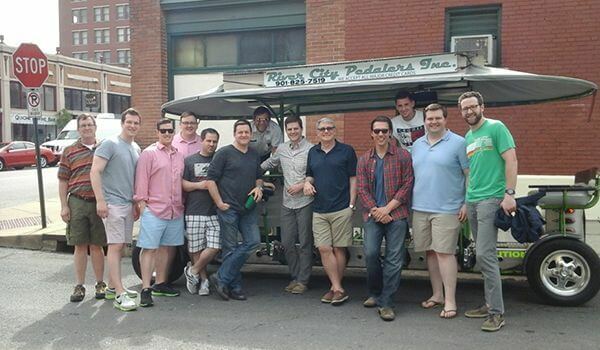 River City Pedalers employees are not allowed to sell or serve alcoholic beverages. All riders with alcoholic beverages aboard the bike require everyone be 21 or older. ID's are checked at time of departure. Respect our streets, and our beautiful downtown Memphis. No littering, excessive noise or general debauchery. No rider may jump off bike while in motion or jump on the bike while in motion. 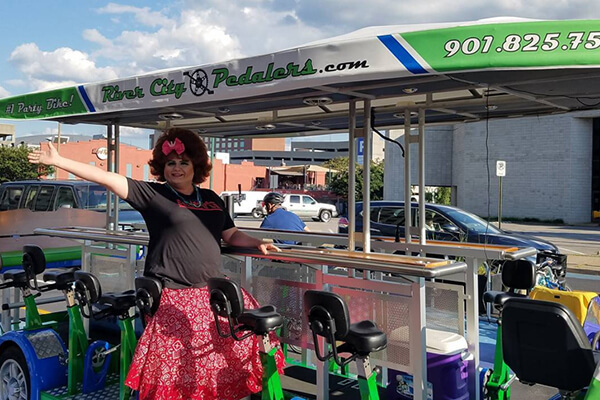 Memphis City Ordinance requires that no alcoholic beverages may leave the bike once we have started the tour, and no alcohol may be handed off the bike to the public. No disrespect to the community, including foul language, throwing cups at pedestrians etc. No abuse of the bike, booking Individual will be billed for any of occurred damages. No hanging off the bike or reaching off the bike for obvious safety reasons. All rules of the road apply to the party bike while in motion. Your driver will help everyone stick to them. 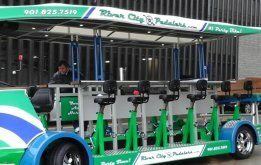 River City Pedalers is not responsible for lost, stolen or damaged items while on tour. All State, City and County laws pertaining to alcohol consumption apply. Personal contact information for the booking individual will be shared with Memphis Police Department if any infractions occur during your tour. 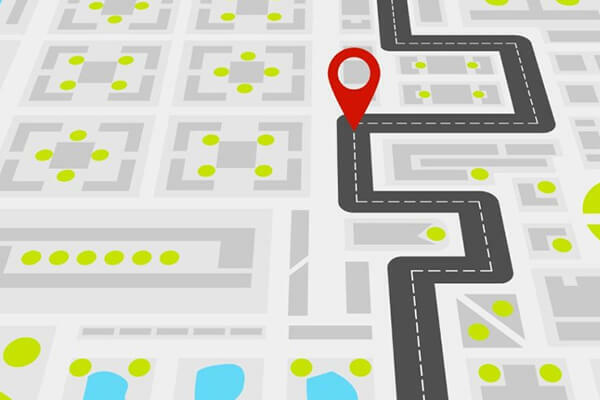 We are obligated to the city of Memphis and the Memphis Police Department to contact them immediately to advice of your location in the event your tour is terminated. Please be respectful to our fun and unique business. If you have any questions regarding tour safety and the rules as stated, give us a call or see your driver before climbing aboard. Remember everyone must sign a waiver and alcohol policy before riding. Please have a designated driver for the ride home after any consumption of alcohol. Please don't drink and drive.